♦♦♦ The commonest sexual infection in developed countries. 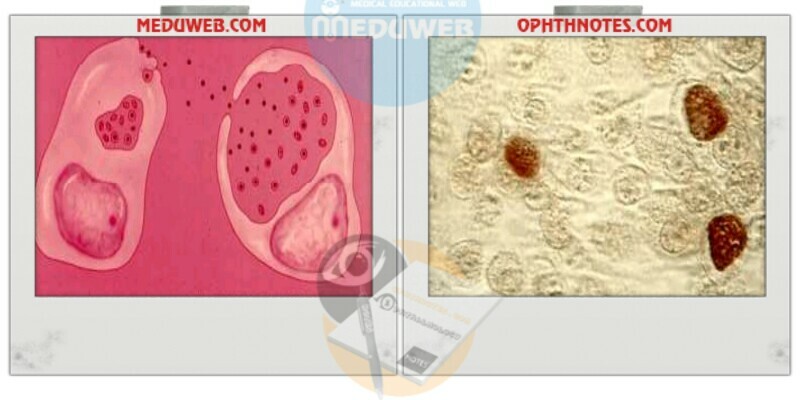 A. Causative organism: chlamydia trachomatis. – Divided by binary fission. – Contains both DNA & RNA. – Sensitive to antibiotic e.g. tetracycline. – Similar to viruses in: obligatory intracellular. – Sexual route: sexual contact. – Non-sexual route: ophthalmia neonatorum (passage through infected birth canal). C. Predisposing factors: multiple sexual partners. – Urethritis, endocervicitis & acute PID. – Perinatal infection (conjunctivitis & pneumonia). – Starts as papule then ulcerate. A. Prevention: prevention of STD. – Erythromycin 500 mg X 4 X 7. Chlamydia infection is a common sexually transmitted infection in humans caused by the bacterium Chlamydia trachomatis. The term Chlamydia infection can also refer to infection caused by any species belonging to the bacterial family Chlamydiaceae. C. trachomatis is found only in humans. Chlamydia is a major infectious cause of human genital and eye disease. Chlamydia conjunctivitis or trachoma is a common cause of blindness worldwide. The World Health Organization (WHO) estimates that it accounted for 15% of blindness cases in 1995, but only 3.6% in 2002. Join Dr. Rowley as he talks over some of the most commonly asked questions about the chlamydia infection. See below for an overview of points covered in this video. 00:42 – What are the symptoms of chlamydia? 02:44 – Can chlamydia be treated? 03:35 – How is chlamydia diagnosed? 04:08 – Can chlamydia be prevented? 05:06 – How often should you get tested? 05:57 – Can chlamydia lead to serious health problems? 08:02 – How can you get checked? This is a file which is meant to help students in preparing slides for seminar presentation as well as revision for tutorial. it does not cover all about chlamydial trachomatis.